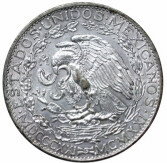 ↑ "Origin of Dollar Sign Is Traced To Mexico." ↑ Monetary and Economic Department. ↑ Journals of the Continental Congress, Volume 28. 1785. पपृ॰ 354–357. अभिगमन तिथि 2008-02-05. ↑ La Bodega Market Facebook page, April 12, 2013: "Sabías tu que en todas las tiendas de la Bodega se aceptan pesos mexicanos?" and "En todas las tiendas de la Bodega se aceptan pesos"
↑ "Pizza chain sparks debate by accepting pesos". MSNBC. 2007-01-12. अभिगमन तिथि 2008-01-30. ↑ Kovach, Gretel (2007-01-14). "Pizza Chain Takes Pesos, and Complaints". The New York Times. अभिगमन तिथि 2008-01-30.